The Anthropocene Working Group (AWG), an international scientific body today comprised of altogether 37 members from six continents, was formed in 2009 by the Subcommission on Quaternary Stratigraphy. The AWG is tasked with exploring and evaluating stratigraphically relevant evidence and recommending whether there is a merit in formalizing the Anthropocene as the most recent geological time unit - a time within which we currently live, as being decisively marked by the impact of human activity on Earth. The group is composed mainly of geoscientists, but also other natural scientists, archaeologists, historians, environmental and social scientists are represented. The Anthropocene Working Group has previously met in Berlin in 2014 and Cambridge in 2015. The meeting held at the Fridtjof Nansen Institute at Polhøgda near Oslo was the third meeting of the group so far, and has significantly contributed to a further development of its work. 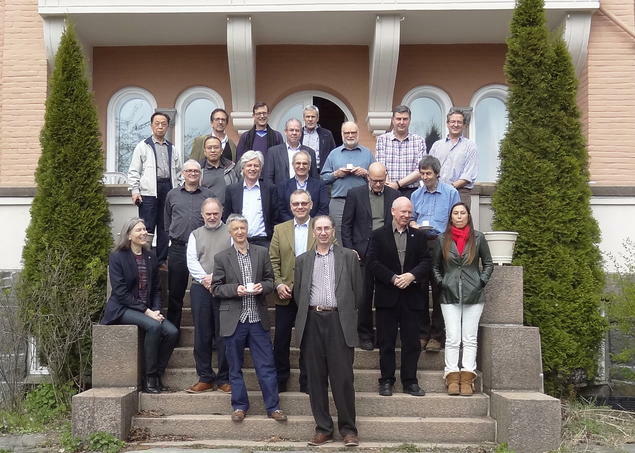 Twenty members of the working group, along with the Chair of the Subcommission on Quaternary Stratigraphy, Prof. Martin Head, and the former Chair of the International Commission on Stratigraphy, Prof. Felix Gradstein, attended the discussions. The meeting has considered whether the Anthropocene could be physically represented in potential 'golden spike' reference sections from around the planet, but it also covered the key arguments against formalisation. The AWG worked on formulating a consensus statement, to cover considerations such as whether the Anthropocene should be formalised, at what rank, what are the key signals, and when did it start. Convener of the meeting, Research Professor Davor Vidas, Director of the Law of the Sea Programme at the FNI, said that "The subject has been studied at the Institute since the formation of the Anthropocene Working Group in 2009, in particular due to possible implications of the Anthropocene for international law. The formalization of the Anthropocene as a new geological time unit through a due scientific process may have serious ramifications for the future development of international law". "This meeting represented, for us, a precious opportunity to meet face to face and discuss the key questions regarding the potential formalization of the Anthropocene. The work we completed here in Oslo will be crucial to developing the collective statement that we are to make on the Anthropocene".